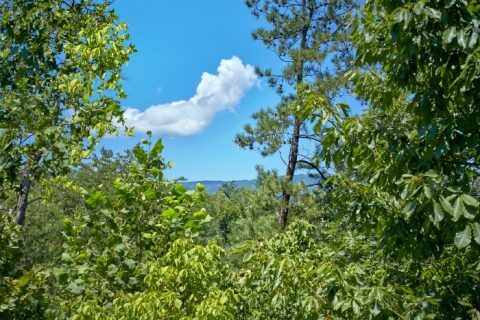 Welcome to "Bear Necessity" in the heart of the beautiful Smoky Mountains of Tennessee! 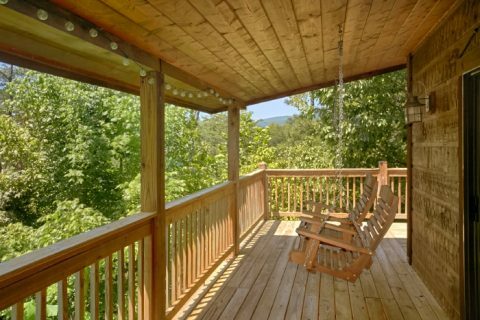 This 2-bedroom cabin with excellent amenities is only 3 miles away from Downtown Pigeon Forge, but it also offers a peaceful retreat in a mountain forest. 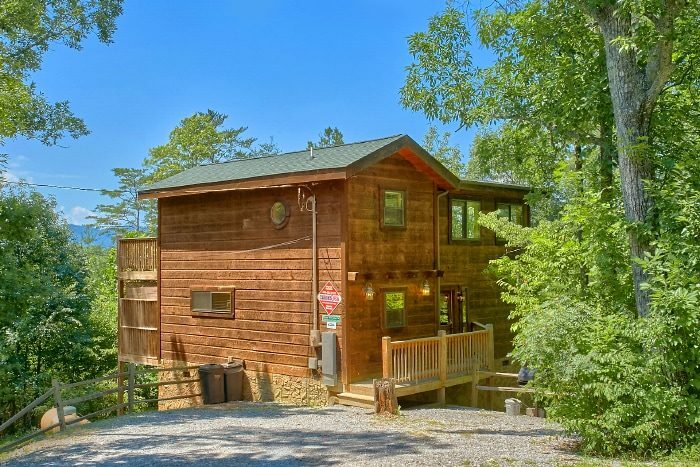 With room for 6 guests, this log cabin off of Wears Valley road provides the perfect way to escape to the mountains with family and friends. 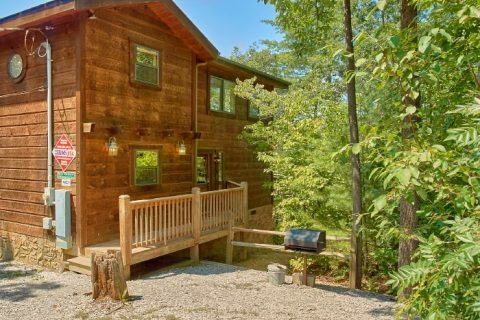 As soon as you enter the main level, you'll feel the excitement of staying in an authentic log cabin! 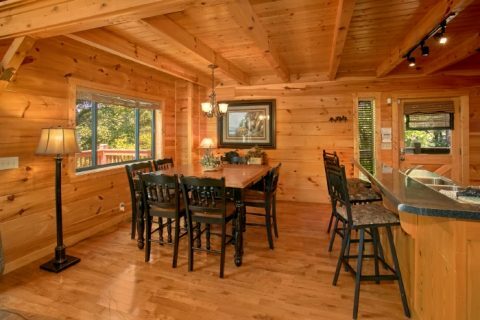 The open living room features cathedral ceilings and large picture windows to let in plenty of natural light. 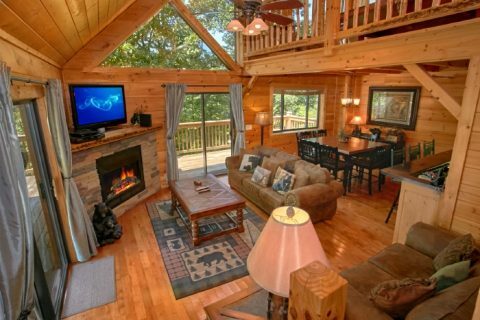 Along with comfortable furnishings, a 50" HDTV, and a stone gas fireplace, you'll find everything needed to enjoy a movie night. 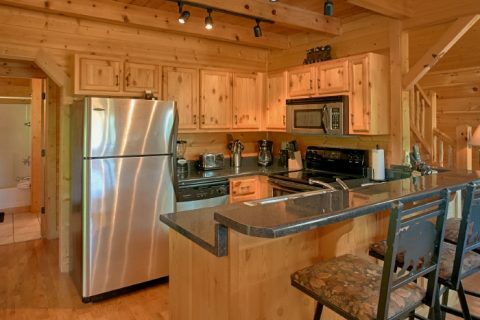 The sleek kitchen with a breakfast bar is a great place to make delicious meals and snacks during your stay. 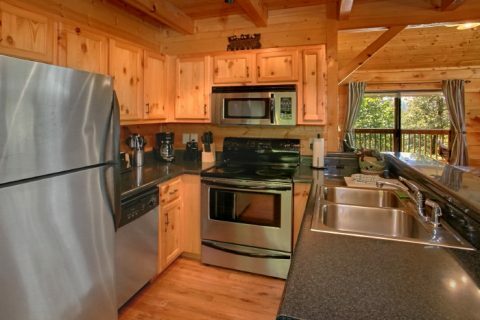 For dinner, gather around the dining table and enjoy a meal from the kitchen or the charcoal grill. 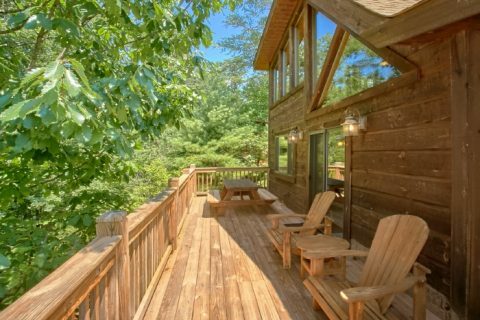 From this level, you can step out onto your cabin's wrap-around deck complete with a 6-person hot tub, porch swings, chairs, and a picnic table. 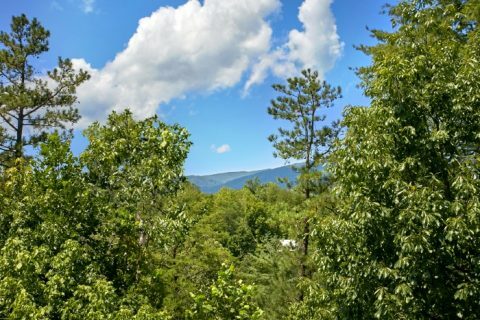 Enjoy this rental's forested settings and take in the lovely mountain view from this comfortable rental in Wears Valley. 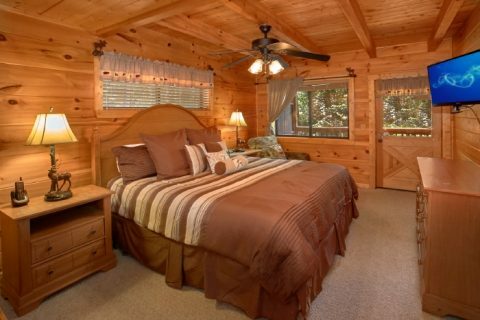 The main level is also home to your cabin's first of two king bedrooms. 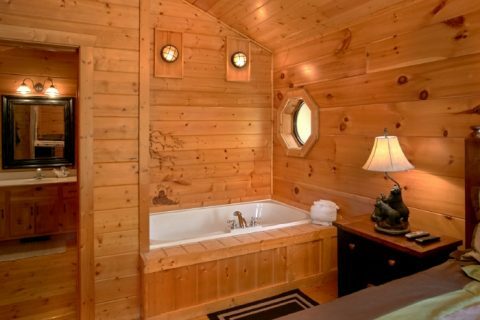 This comfortable space comes with a flat screen television, a full bath, and access to the deck. 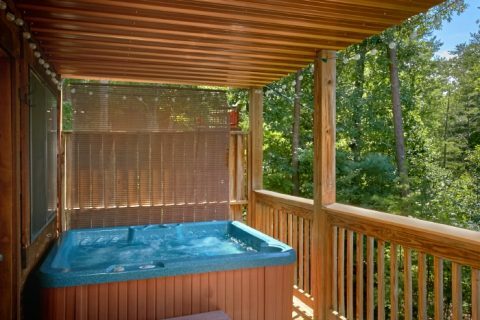 Upstairs, you'll find the 2nd king-size bedroom with a two person jacuzzi tub, flat screen television, private balcony, and stacked stone fireplace. The upper level is also home to the game room loft. 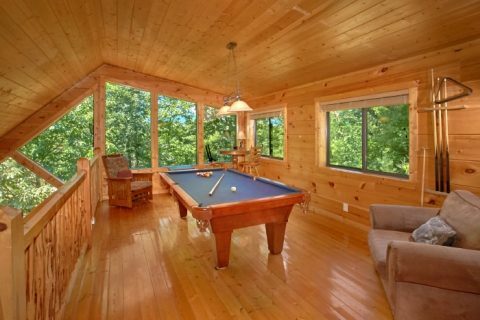 Enjoy practicing your bank-shot on the pool table in this quality game room with large windows to let in the natural beauty that surrounds your cabin. 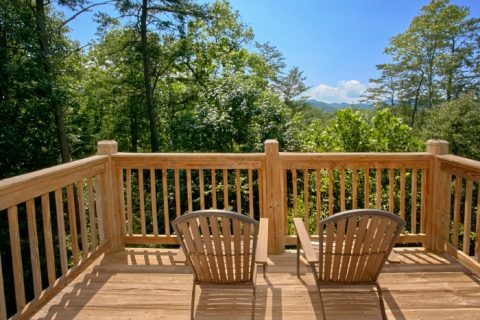 Whether you plan to relax at your mountain retreat or spend fun-filled days exploring Pigeon Forge and the National Park, you're bound to have an incredible stay at "Bear Necessity!" 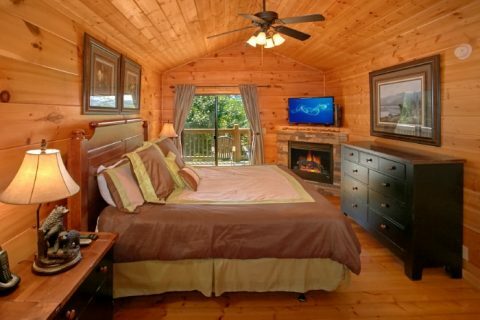 Book your cabin online today with Cabins USA to save 15% on your nightly rate!